Finally Loftybot comes with version 2! Of course every one who has active subscription could download new V2 version. Loftybot not send any packets to tibia client. No read from memory any values. No needed addresses from client which are changed after OTS update. All other bots always have few days till. Clear flat design, great user experience and easy to use. People spend hours making scripts and setting up bots. With LoftyBot You can save up this time. Updates weekly, Bot will be developed much more. Always got support and ask if something is not clear. 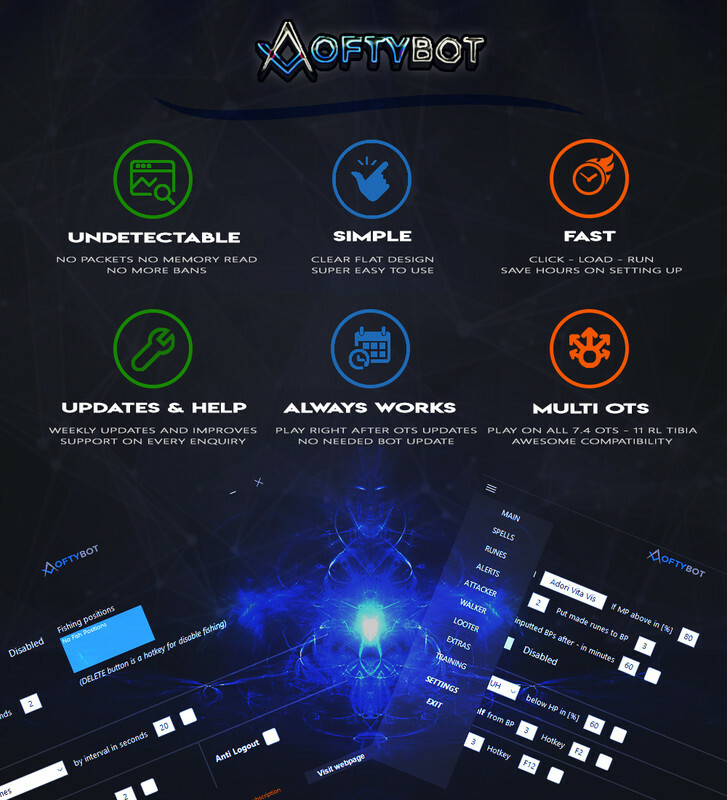 Buying Loftybot You are assured that the bot will be improved and updated every few days. Always feel free to write for help and assistance. Join us - check subscription plans! Will u fix lofty for classictibia.com? New Voidcore client (OTC) is supported, right? I have a question on the classic, a new ( OT Client ) is coming or will this bot work with him.